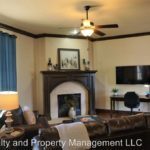 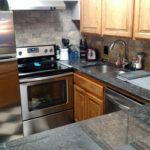 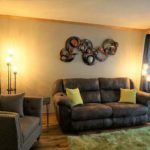 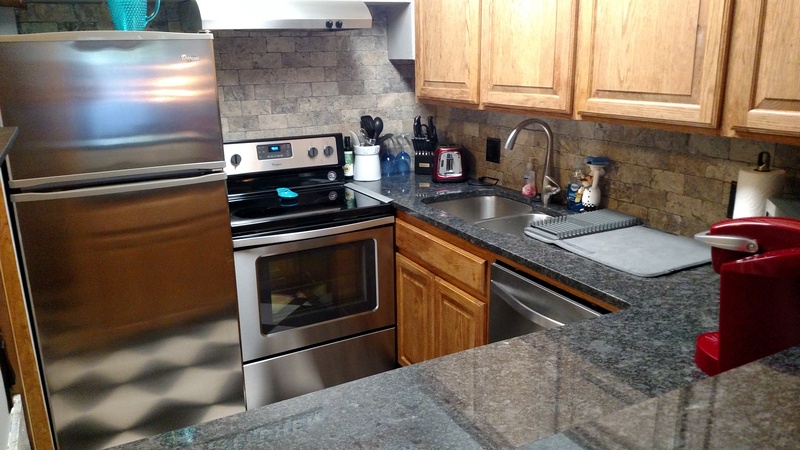 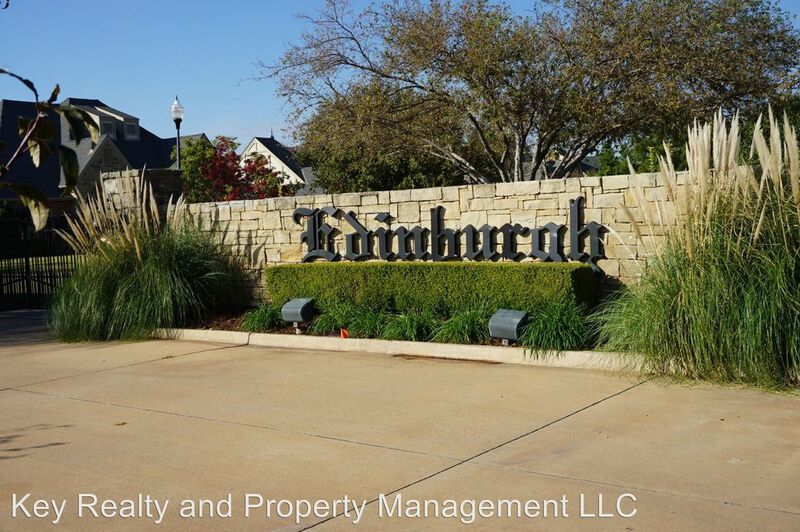 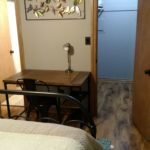 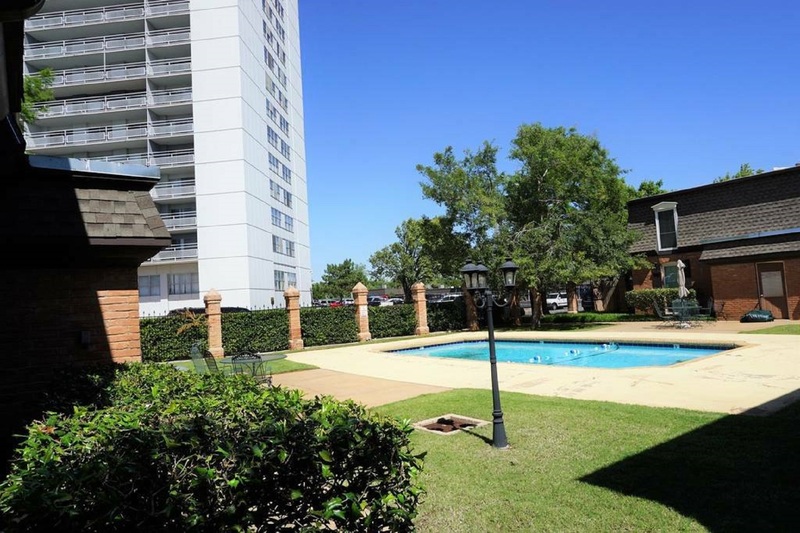 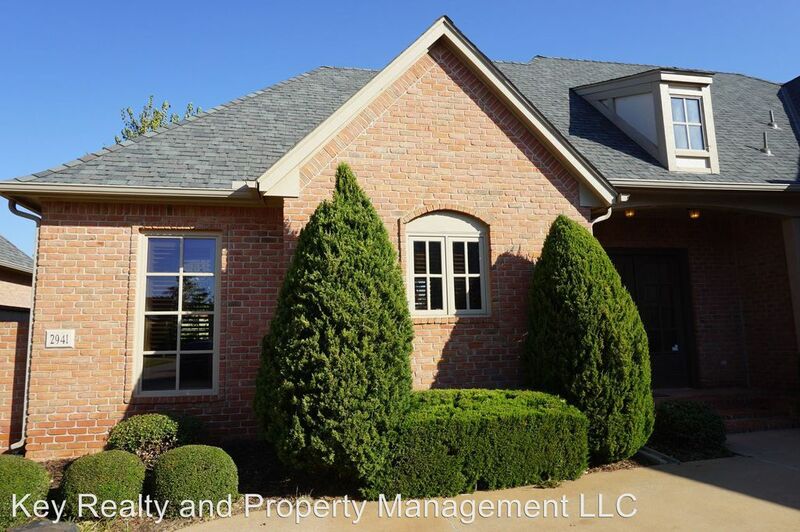 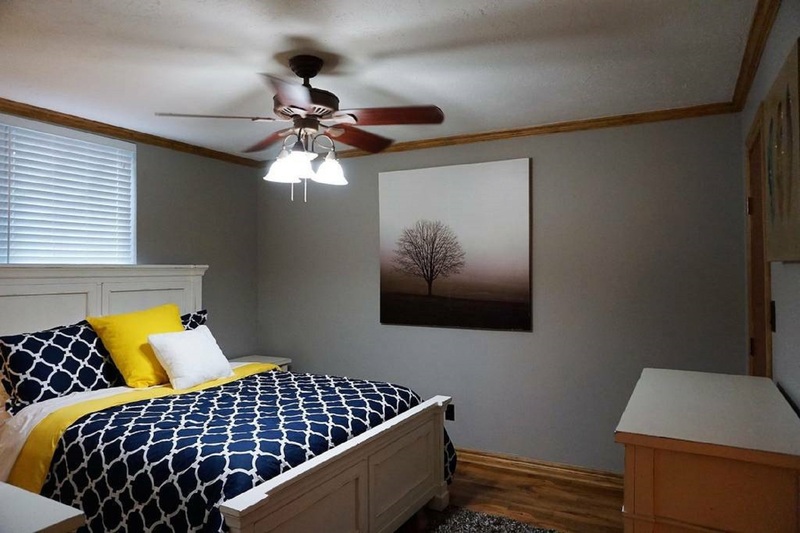 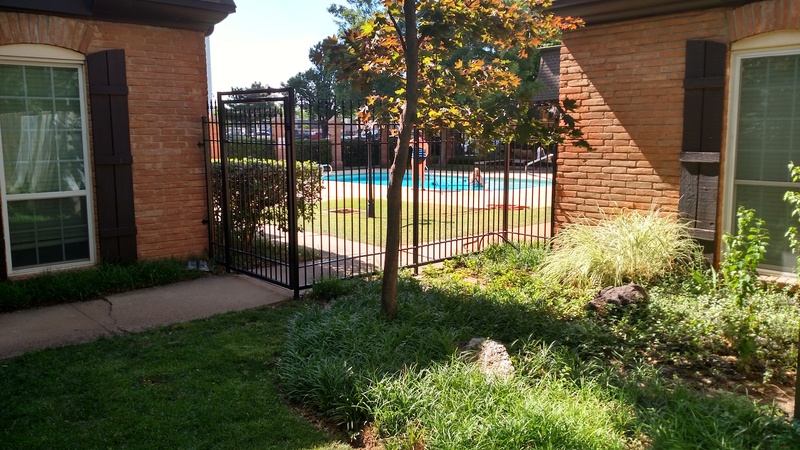 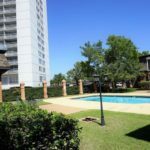 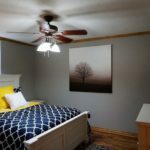 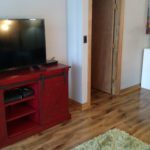 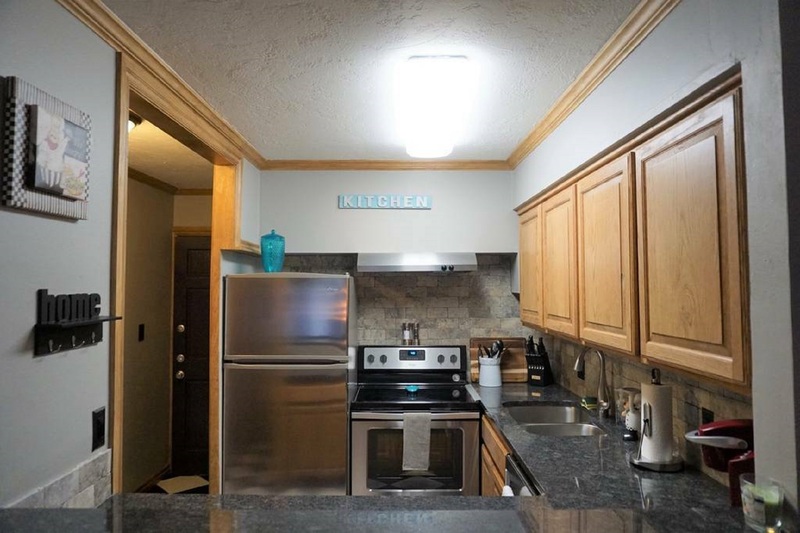 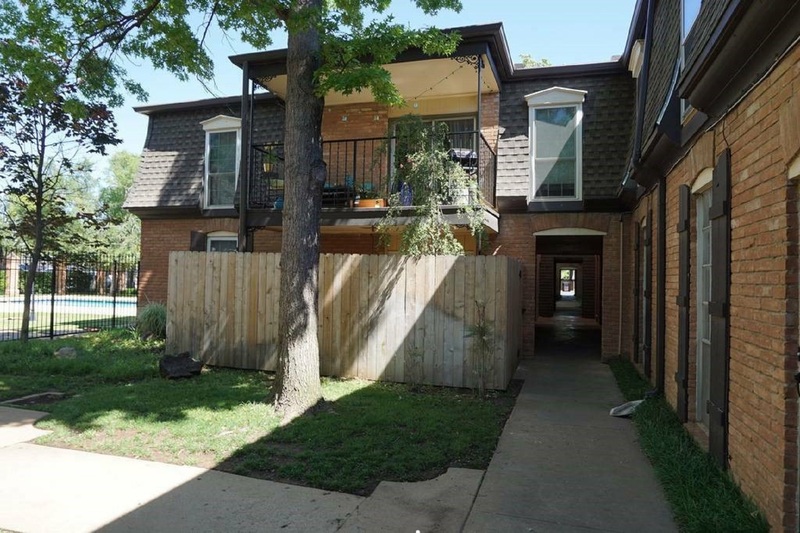 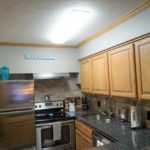 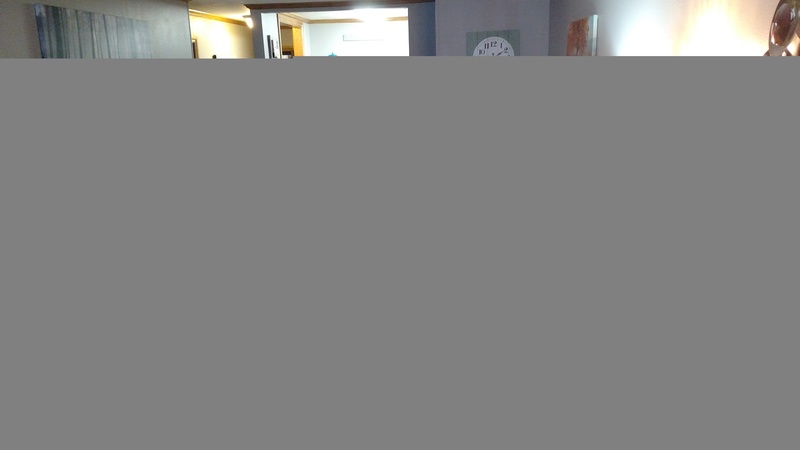 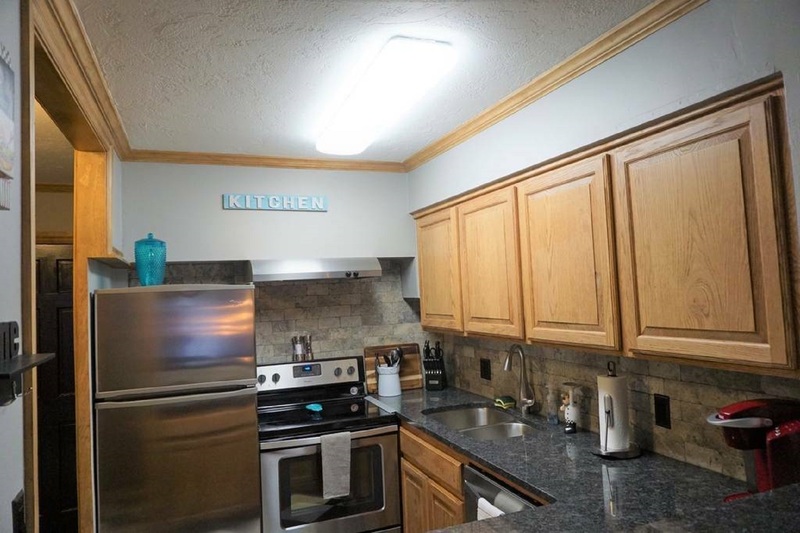 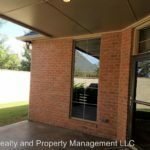 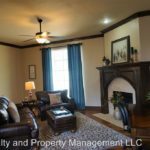 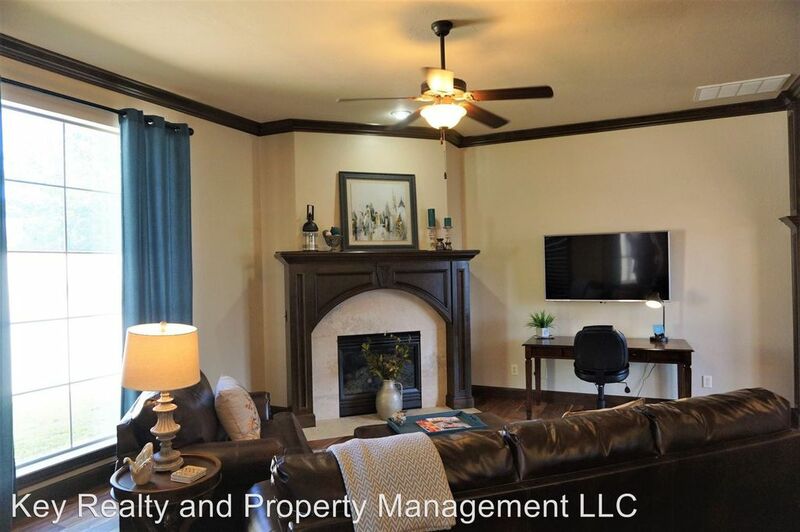 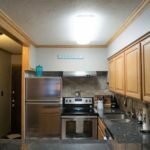 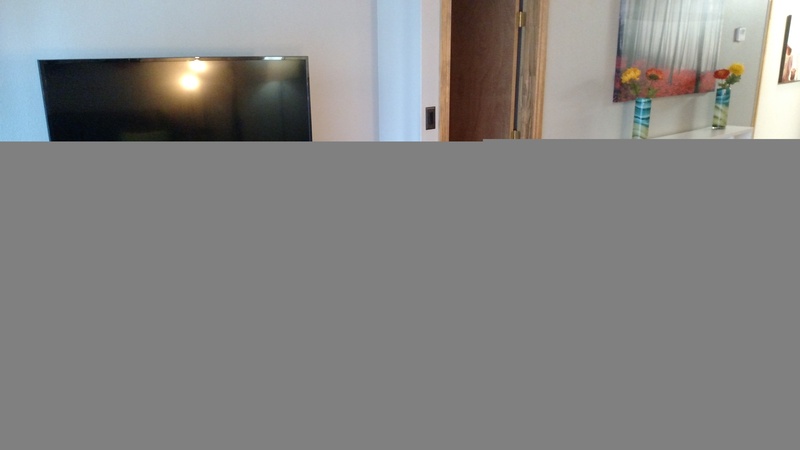 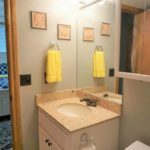 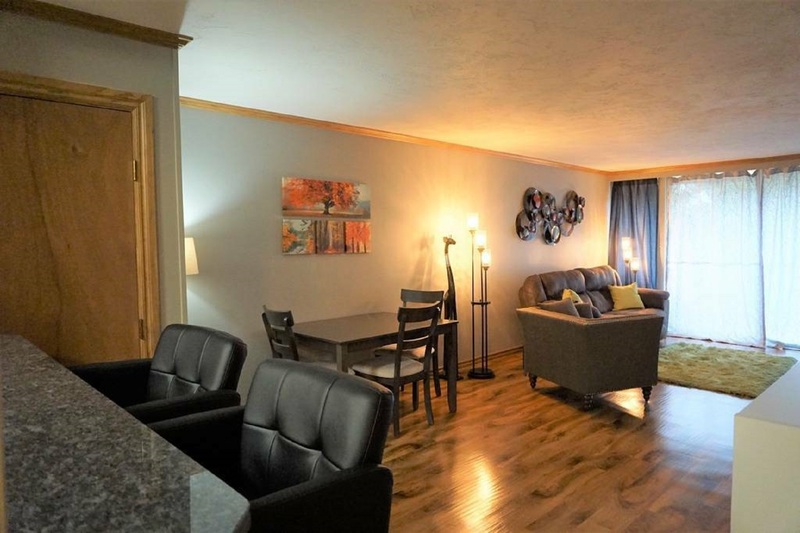 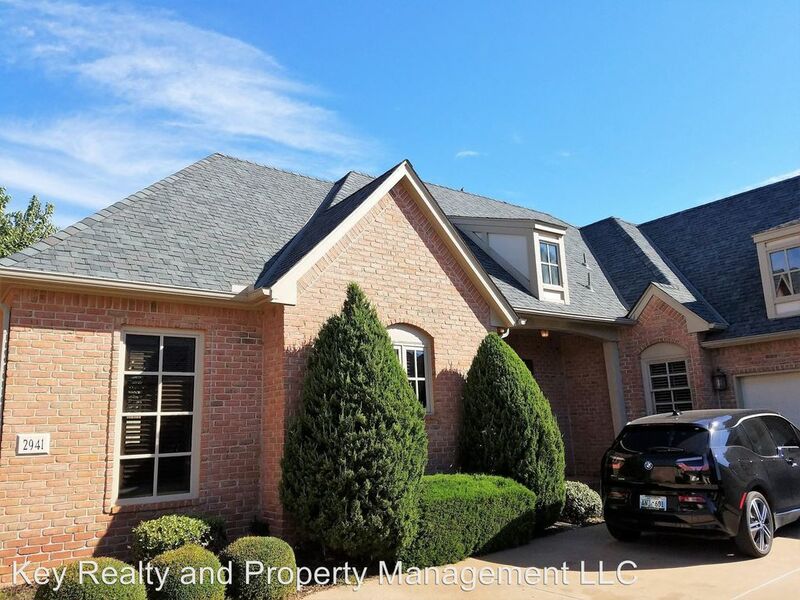 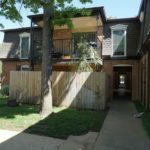 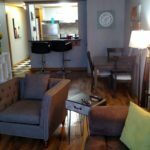 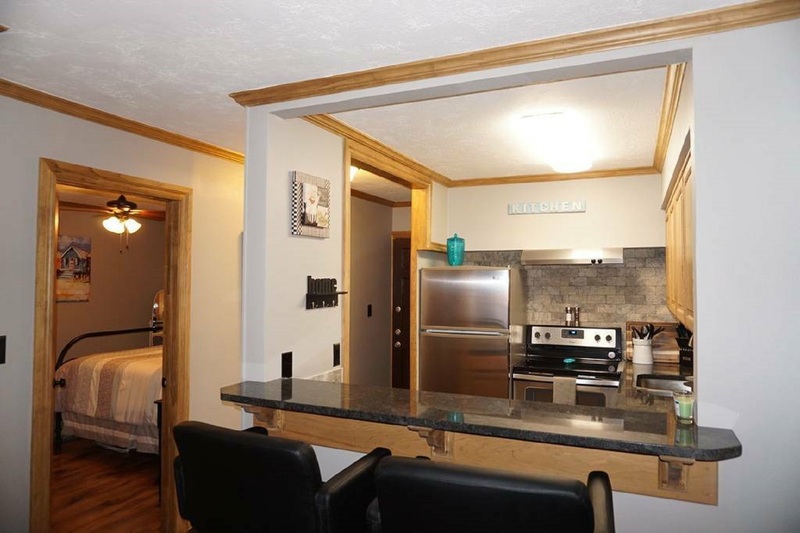 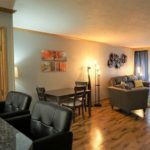 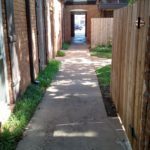 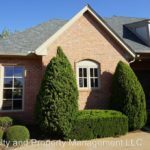 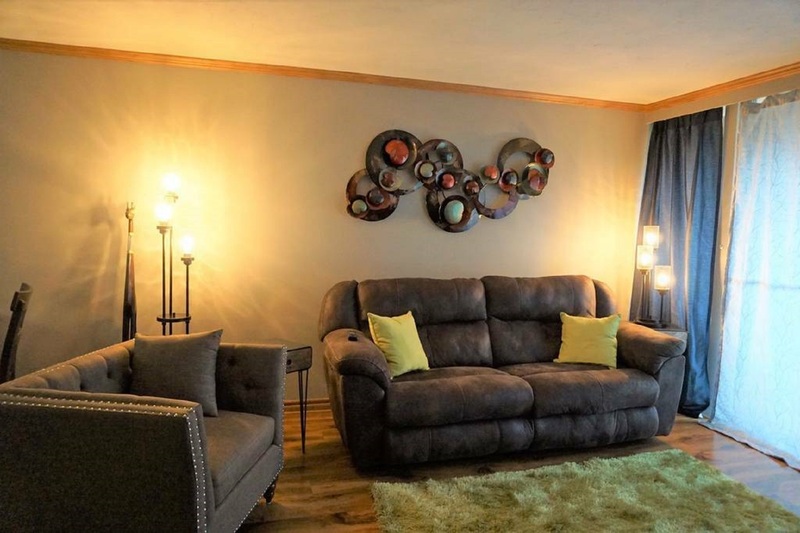 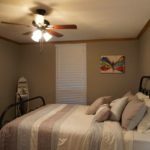 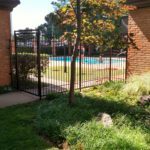 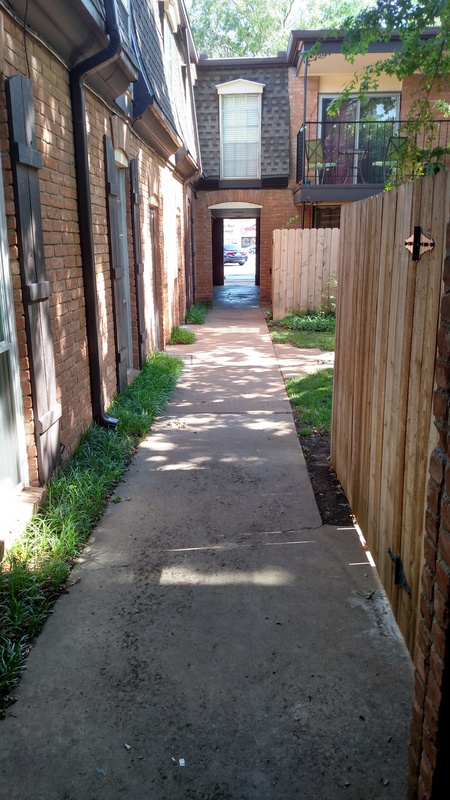 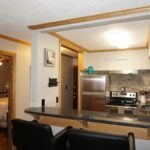 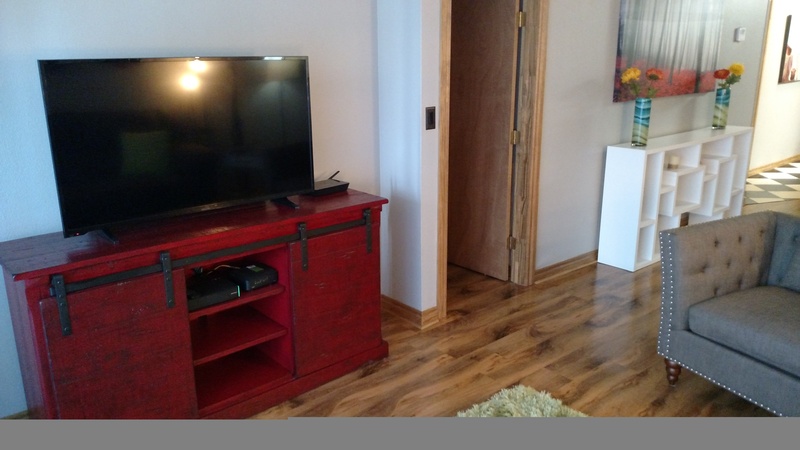 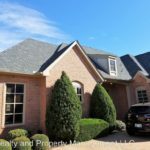 Short Term Furnished Condo located off of NW 59th and May Avenue and NW Expressway, downstairs 2 bedroom 2 bath with 1 reserved parking space, central heat and air, free laundry. 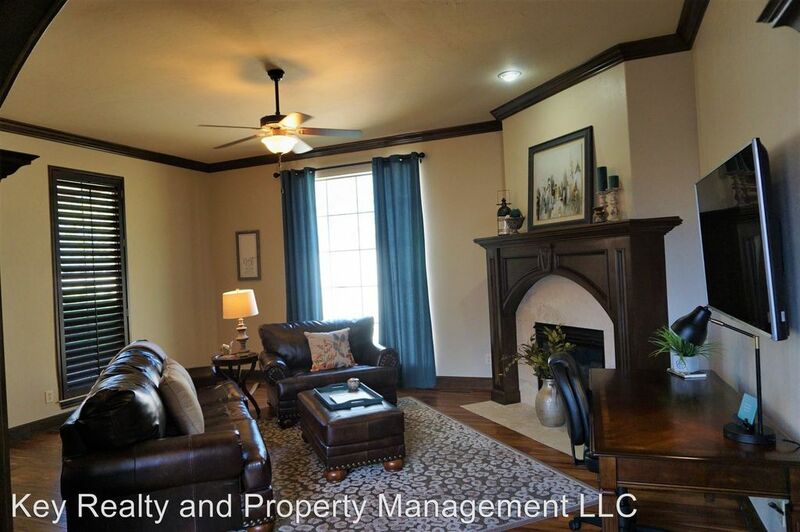 Completely remodeled new paint, new wood floors, new blinds. 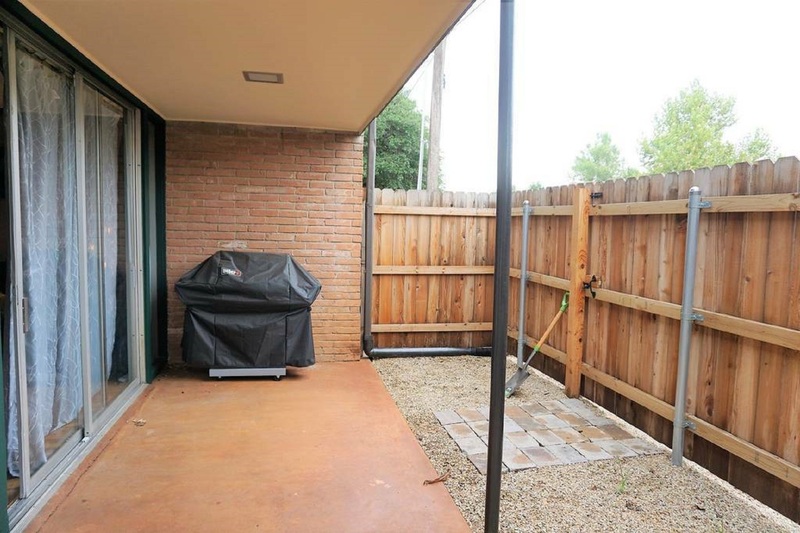 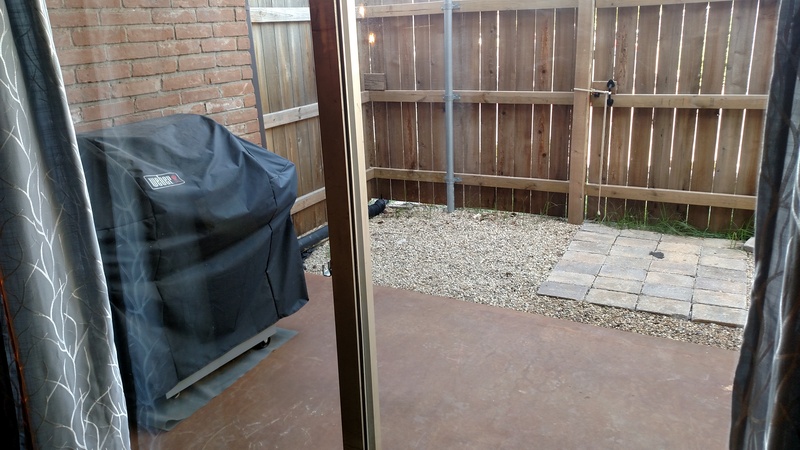 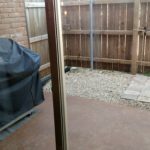 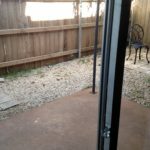 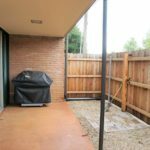 Covered patio with grill and sitting area. 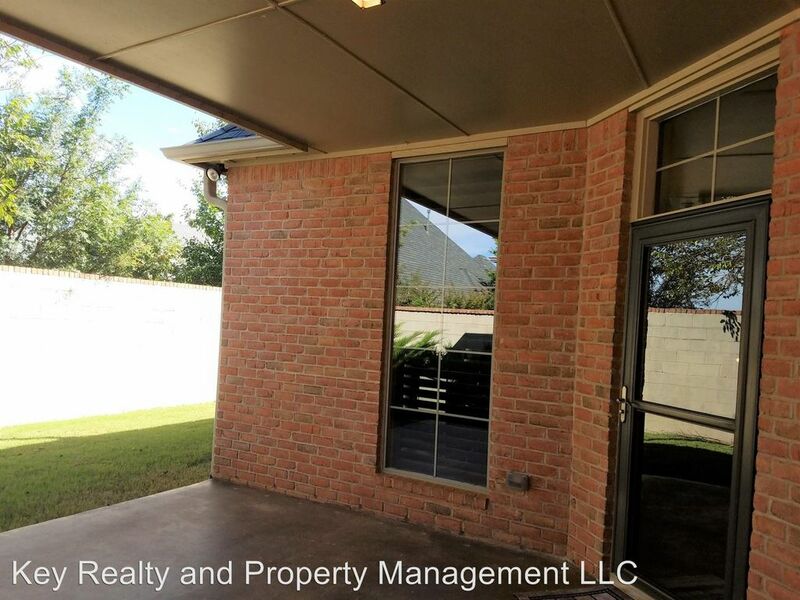 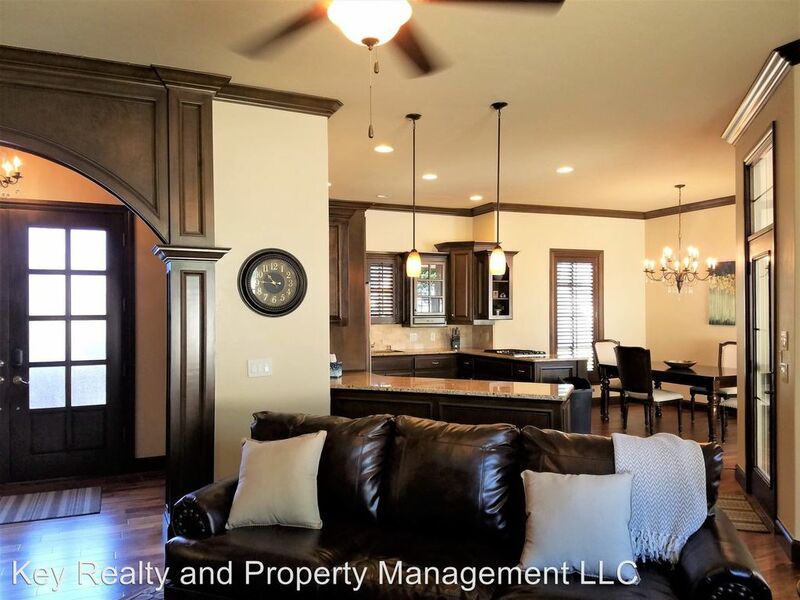 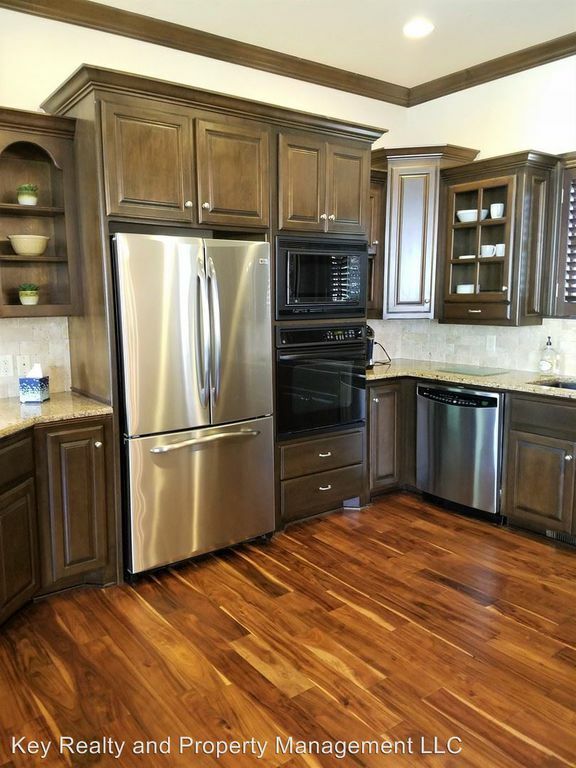 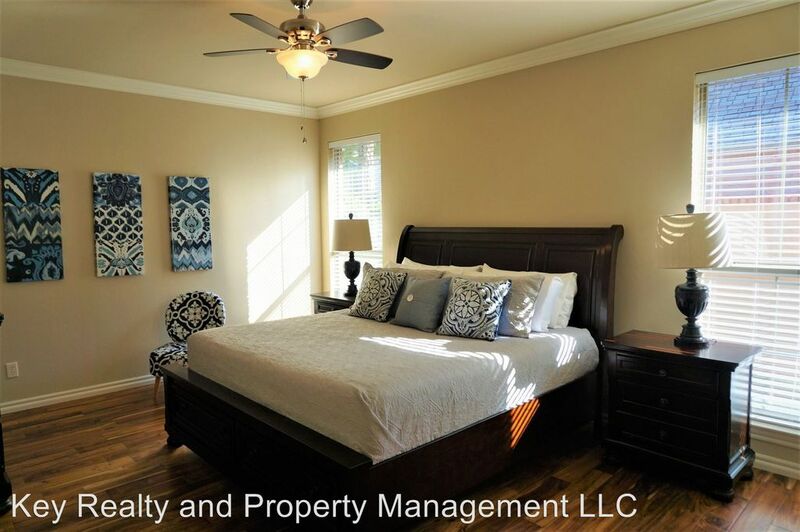 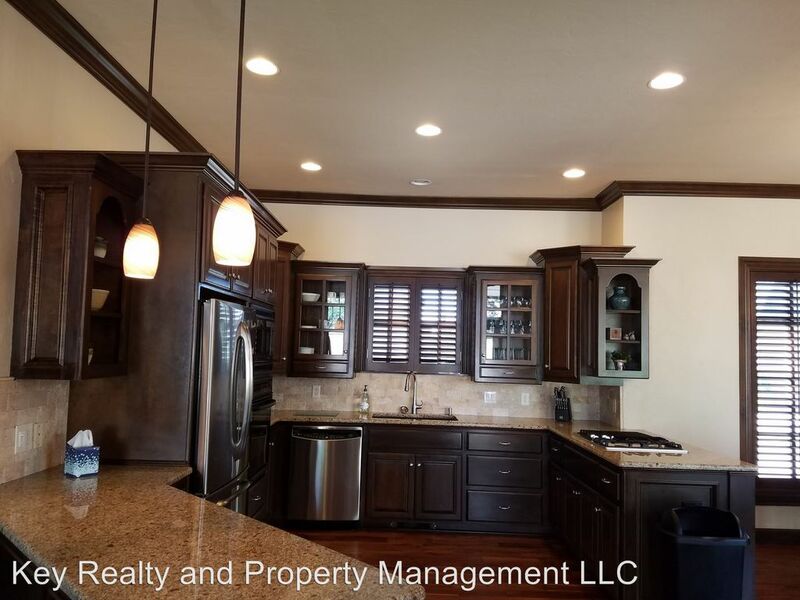 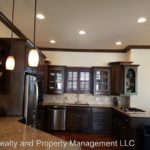 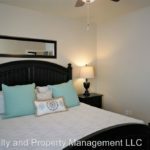 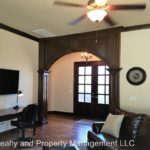 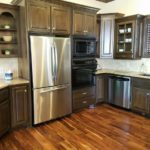 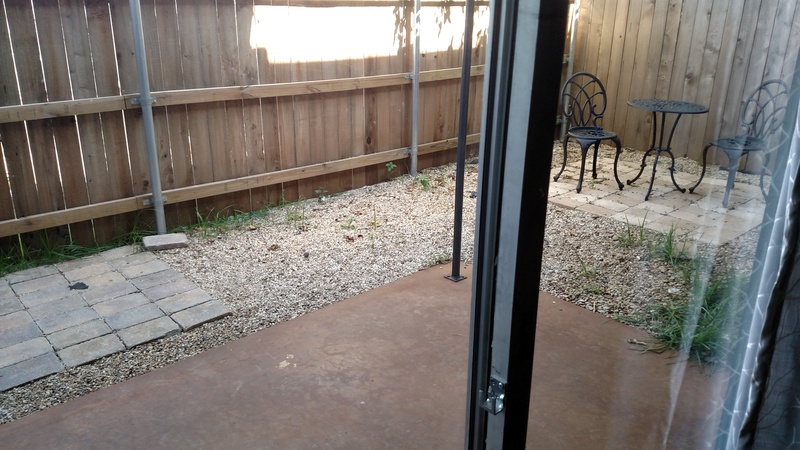 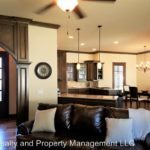 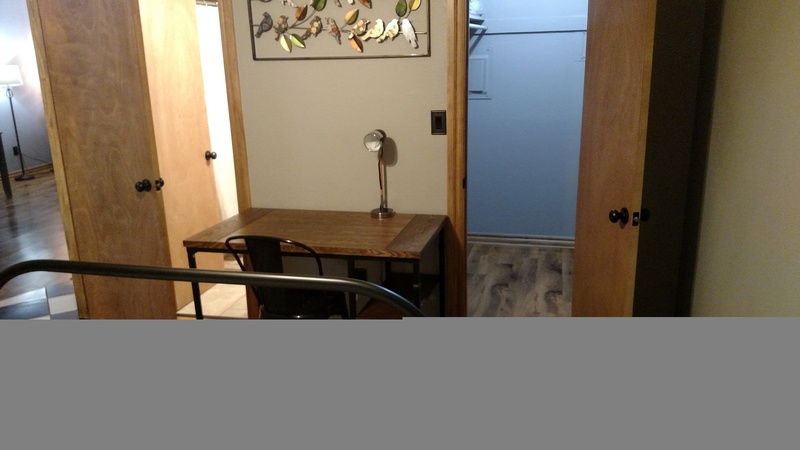 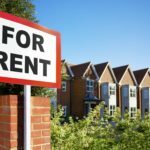 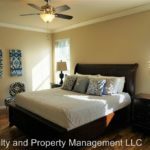 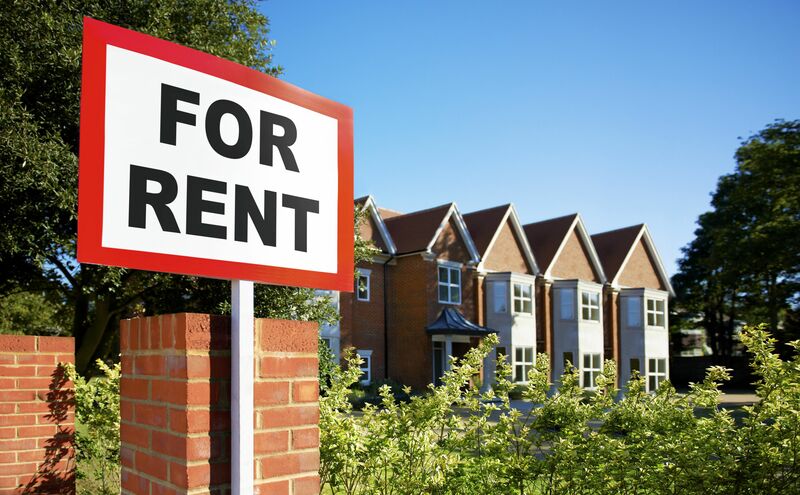 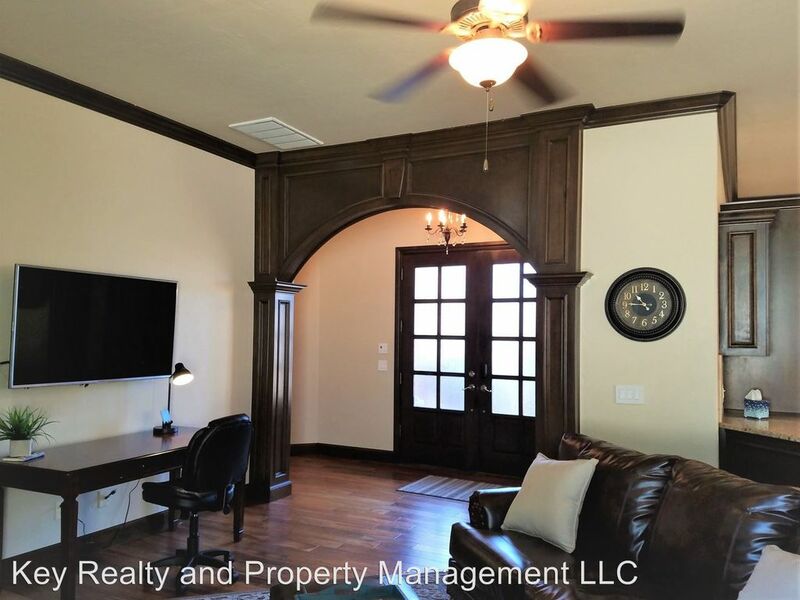 There are 2 walk in closets, large living and dining area and ceiling fans. 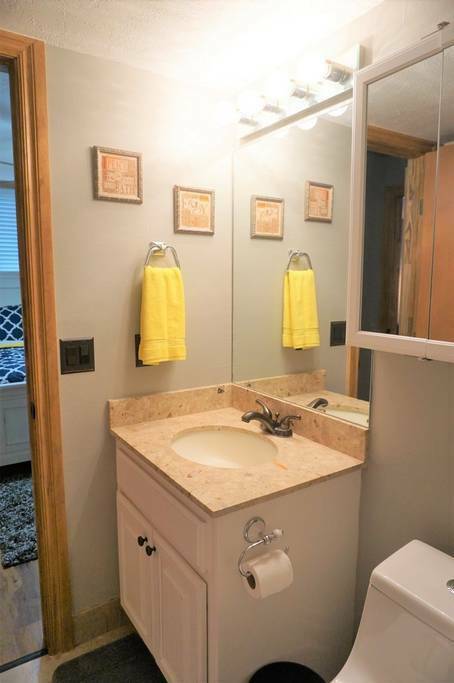 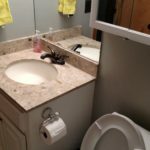 Home comes with all the bells and whistles, bathrooms have been renovated very cute! 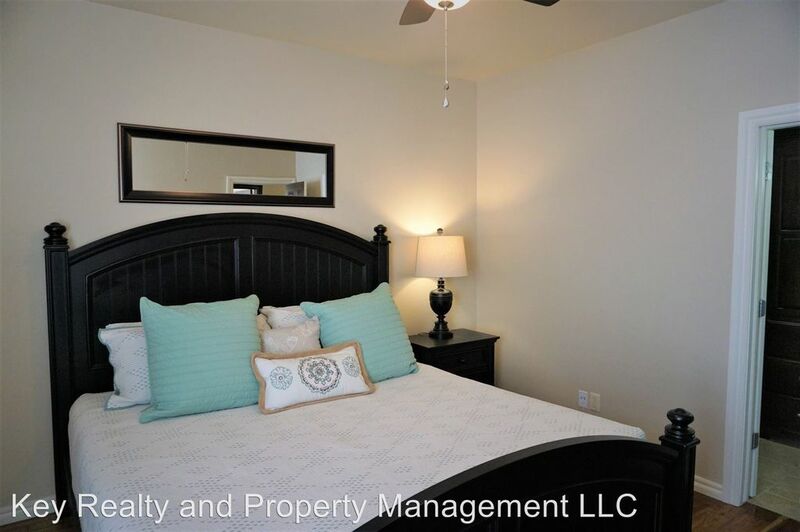 Home is fully furnished, nice courtyards and swimming pool.. 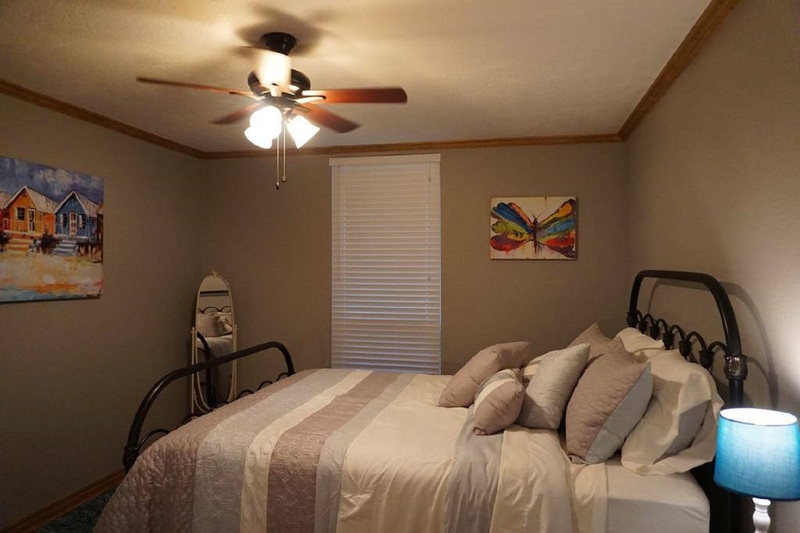 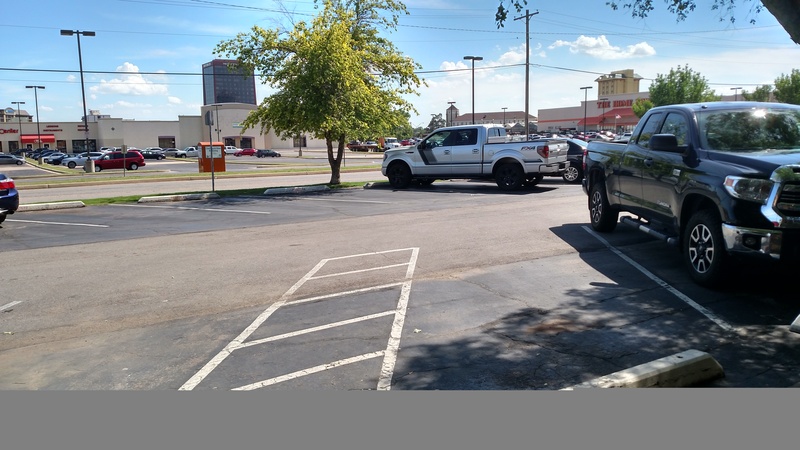 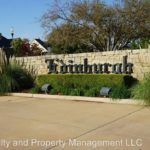 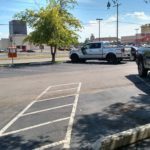 Plenty of restaurants and shopping nearby, close to Integris Baptist Hospital and less than 5 miles to State Fair Park.